Alright, I have a break, so I am going to write a post I have been meaning to write for a very long time but just never got around to it. I have tried to remember as much as I could. Way back in the early days of april me and my dad attended a second field trip with the San Bernardino County Museum. 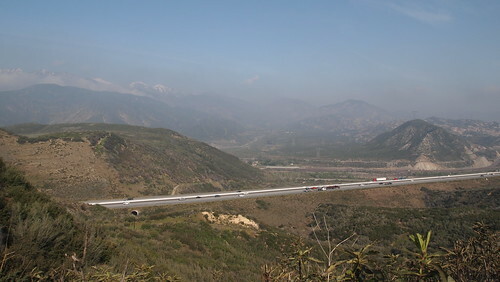 This trip took us to Cajon Pass, which sits east of Redlands in the “Inland Empire”. 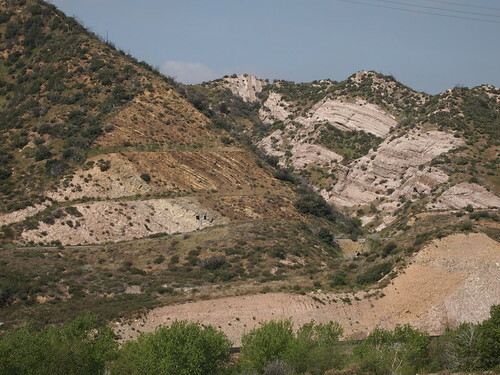 Cajon Pass is a geological and paleontological laboratory, hosting a rich array of fossils and geological features. We spent all day driving around the pass visiting fossils sites and taking in some spectacular views. 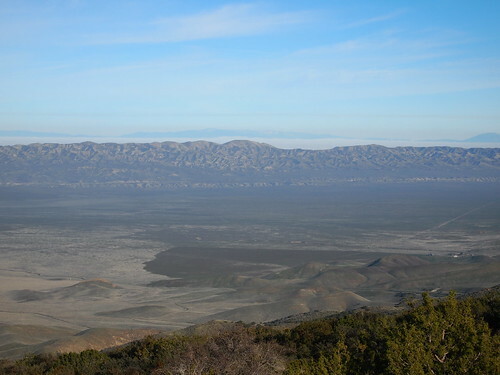 The most prominent feature of the pass is the San Andreas Fault. San Andreas is the biggest fault in California and is responsible for many of our worst earthquakes. 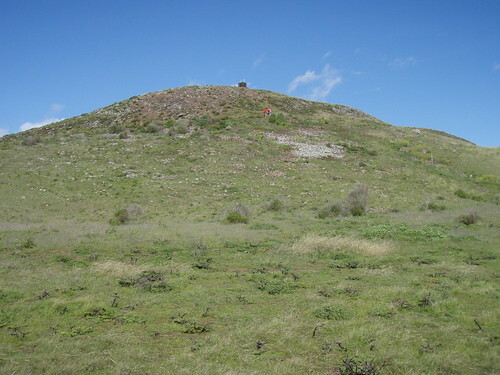 The falult runs directly across the pass, with the Pacific Plate to the west and the North American Plate to the east. The presence of Pelona schist and a sag lake testify to the fault’s presence. Just so you know, a sag lake is a lake that is formed right on a fault when ground water seeps up through cracks created by movement of the fault. In the case of Cajon Pass, this type of lake is represented by Lost Lake. I guess it isn’t really lost if the curators can take people to it. 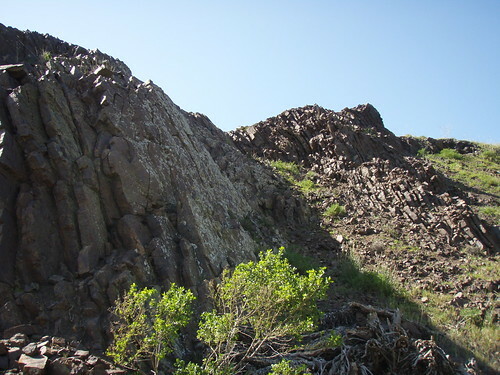 Another neat geological feature is the Mormon Rocks (or as the curators called them: “Rocks of Jesus Christ of Later Day Saints”). This is where we had lunch and a few people had a good time climbing around and exploring the rocks. Me, on the hand, stayed behind with Eric and aggravated Kathleen with our chatter about Diablo II. 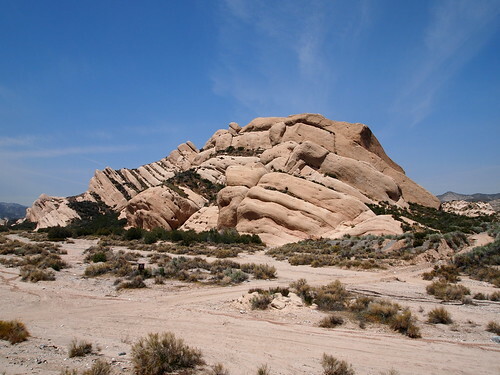 The Mormon Rocks were once though to be part of the Punchbowl Formation but were later found to be older than said formation. 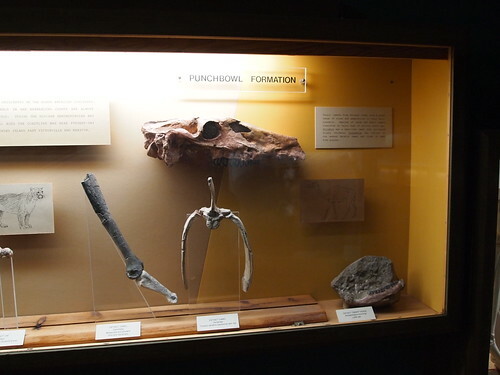 The formation was named after Devil’s Punchbowl, a geologic feature further to the east (we didn’t get to see it). I cn’t remember the name of the formation on the right, but I remember it’s middle miocene in age, abround 16 to 12 million years old. And interesting thing to note is that the formation is a terrestrial deposit but at one point yielded a whale vertebra. How is that possible? Remember, this area has undergone massive remodeling thanks to tectonic boundries. What the curators think happened is that the whale was buried in an older layer at a time when the pass was underwater. The whale died and it’s vertabra was buried. 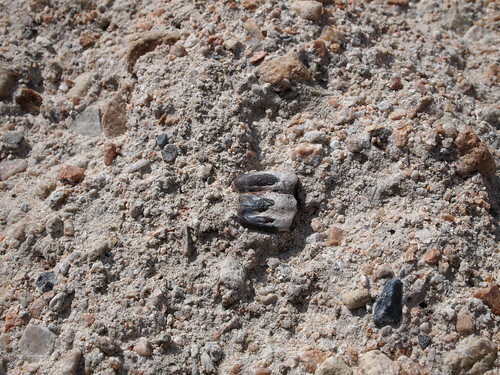 Later, during the middle Miocene, the bone eroded out of it’s origonal geologic unit and was redeposited when the middle Miocene unit was being formed. So instead of a whale finding it’s way inland (like that one whale, Humphry), the vertebra was instead reworked from an older layer. 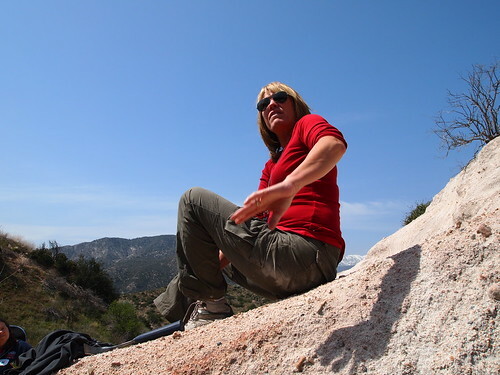 Isn’t geology fascinating! Now look at the slanted layers to the left. They are cretaceous and paleocene rocks. I don’t remember much but I remember Eric talking about a plesiosaur vertebra being found in those layers, possibly in the paleocene layers. I just can’t remember. Sorry. Nah, I’m just kidding. She a wonderful person to be around. But all in all, these people really make the trip. Instead of just some tour guide, we get the people who actually work out here. Thanks again for the wonderful trip guys. Sorry for being a little off topic lately (and will be again very very soon) but I promise I will keep things relevant. So here’s some geology. 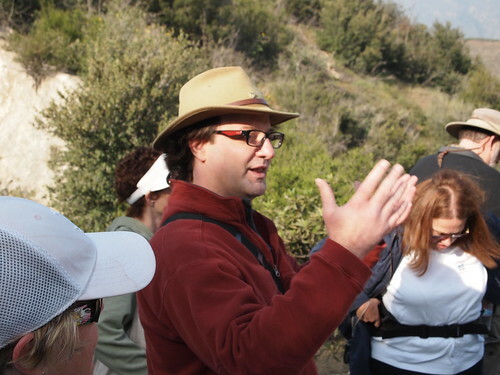 Last week my Geology class went on its first field trip. 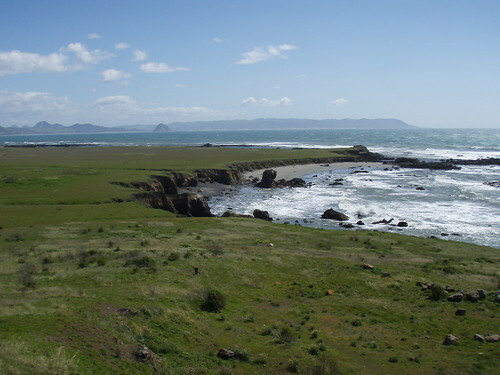 Mr. Grover took us to a piece of land up in north county, north of the town of Cayucos. 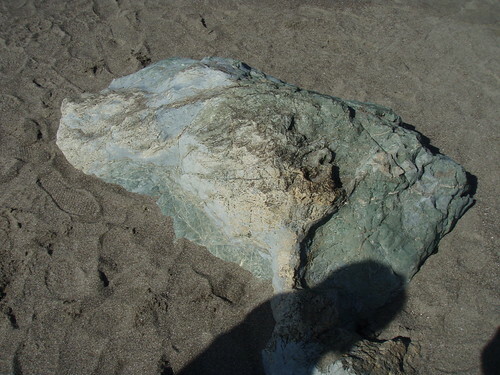 It’s a place called Estero Bluff, and while it has a very nice beach, it sports some interesting geology (I may be a little spotty; I tried to remember as much as I can). 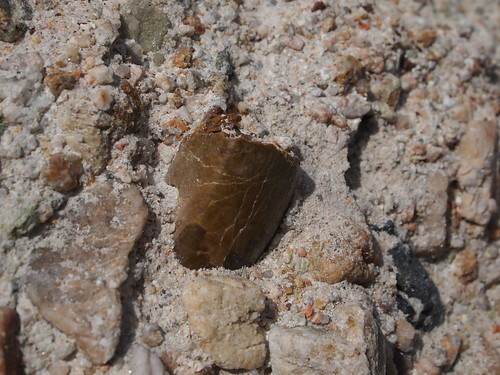 When you have a blob of chert in a site that’s mainly made of soft soil, the soil will erode away while the chert stays relatively intact since it’s much harder. And that’s how that’s how this hill came to stick out of a flat terrace. Now, the other reason for the terrace is uplift. Did you notice the chert layers were at a slant? That is due to the process of geological uplift. This is where the earth pushes up (that’s often how mountains are formed). 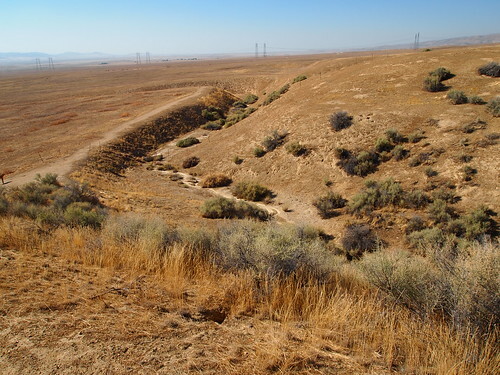 And Estero Bluff is unique because it sits on the edge of two continental plates. Currently the Pacific Plate is being subducted (pushed under) the North American Plate. And this subduction has caused the layers of the earth here to scrunch up and tilt on their sides. It’s wholly possible that the chert layers could be vertical in a few million years. It’s called schist. It’s a form of metamorphic rock formed from basalt. It is formed at high pressure but low temperatures. Generally it cooks at temperatures of 200-500 degrees Celsius at depths of 15 to 30 kilometers. So how did it get here? 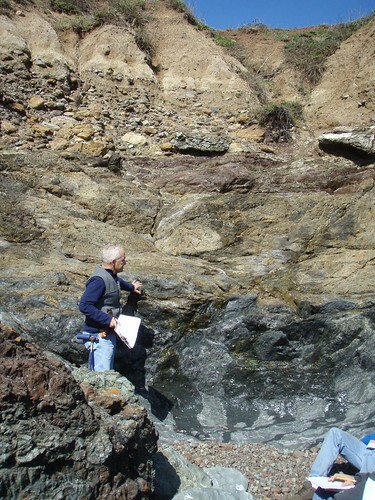 Let’s review: Estero Bluff exhibits layers of rock uplifted from the crust and upper mantle and schist is formed from basalt. 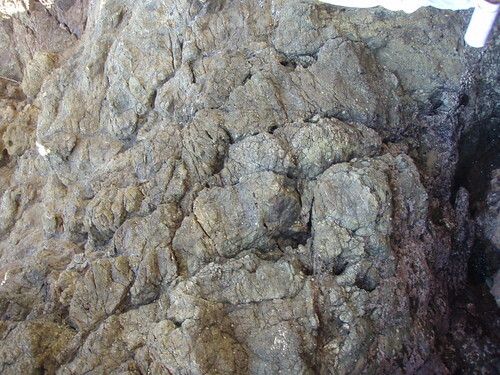 I think what happened is some of those pillow lavas got sucked down into the subduction zone and formed schist. Then through uplifting they were brought to the surface, where they came to rest on the beach and get polished by the ocean. Whoa man, that was a mouthful! How’d I do? 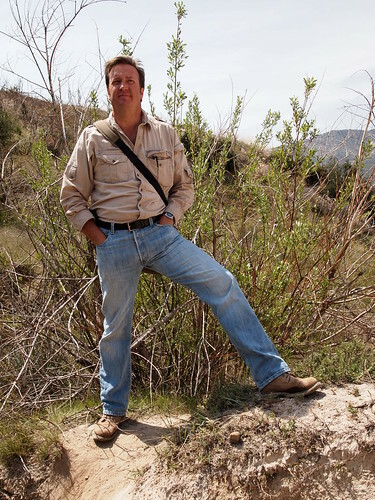 Because I’m better with paleontology than geology. Anyway, I might feel another rant coming on, but after that, back to the good stuff.